Ice cream manufacturer Blue Bell Creameries has become the subject of a Department of Justice investigation over how the company handled an outbreak of listeria. The most recent batch of cases saw ten people sickened, three of whom died as a result. The company had issued a product recall—the first in its 108-year history—back in March of 2015 when the three deaths were first linked to its product. This recall covered the three-ounce cups of its products and the bacterium was traced back to a pair of production facilities in Brenham, Texas and Broken Arrow, Oklahoma. Later testing continued to find listeria and resulted in the total recall of all Blue Bell ice cream products. The Department of Justice investigation, which comes as Blue Bell is attempting to re-enter the market, is seeking to determine whether the company was negligent in how it handled food safety and sanitation at its facilities. FDA records show that Blue Bell was issued guidance as far back as 2008 on how its production sites showed potential for harboring listeria. 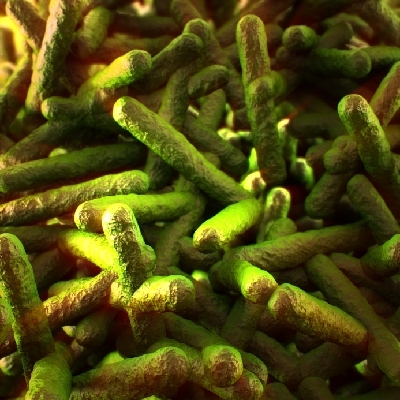 An inspection prompted by the 2015 outbreak found that Blue Bell’s Broken Arrow facility had tested positive for listeria as early as 2013, with 17 positive tests in the intervening two years. These repeated findings suggest that the company was not taking appropriate measures to find and/or eliminate the underlying causes or sources of the contamination. Another blow to the company came in April 2015 when the CDC announced that the strain of listeria from the March outbreaks had appeared in cases dating as far back as 2010. The finding was made using the Center’s PulseNet, a sort of “DNA fingerprint” database for cases of foodborne illness. The ability for a single strain to persist for so long suggests that it had remained at the same facility for five years despite sanitization attempts or lack thereof. Listeria is a bacterium responsible for the disease known as listeriosis. It is commonly contracted from dairy products, deli meats, raw vegetables, hot dogs, pâtés, and smoked seafood. Infection commonly results in fever, neck stiffness, confusion, weakness, vomiting, abdominal pain, and occasionally diarrhea but can also be fatal in certain cases. The most at-risk groups for listeria infection are pregnant women (in whom it can cause miscarriage or birth defects), the elderly, and anyone with a weakened or compromised immune system. Unlike most foodborne bacteria, listeria is capable of growing even in refrigeration-level temperatures, making it especially dangerous and able to thrive in conditions pathogens, like Salmonella or E. coli. Ellis, R., et. al., “CDC: Blue Bell Listeria Outbreak Dates Back to 2010,” CNN web site, last updated April 21, 2015; http://edition.cnn.com/2015/04/20/health/blue-bell-ice-cream-recall/, last accessed January 5, 2016. LaMotte, S., et al., “Justice Department Investigating Blue Bell Creameries,” CNN web site, last updated January 2, 2016; http://www.cnn.com/2016/01/01/health/blue-bell-listeria-criminal-investigation/index.html, last accessed January 5, 2016. “Listeria.” Food Safety.gov; http://www.foodsafety.gov/poisoning/causes/bacteriaviruses/listeria/, last accessed January 5, 2016. Newman, J., “FDA: Blue Bell Had Evidence of Listeria in March 2013,” Wall Street Journal, May 7, 2015; http://www.wsj.com/articles/fda-blue-bell-had-evidence-of-listeria-in-march-2013-1431028954. Newman, J., “Ice-Cream Recall Sends Chill Through Food Industry,” Wall Street Journal, August 2, 2015; http://www.wsj.com/articles/ice-cream-recall-sends-chill-through-food-industry-1438437781.